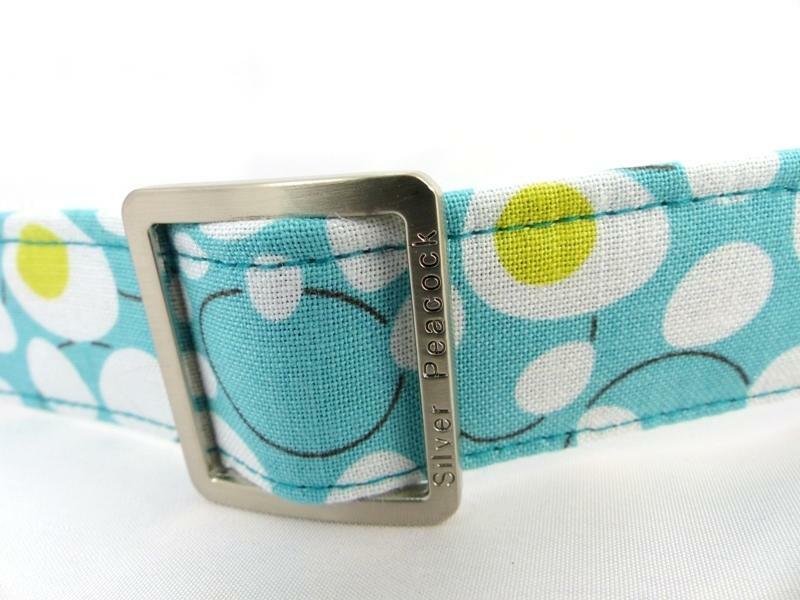 A funky print of eggs in yellow white and black on a background of soft turquoise. 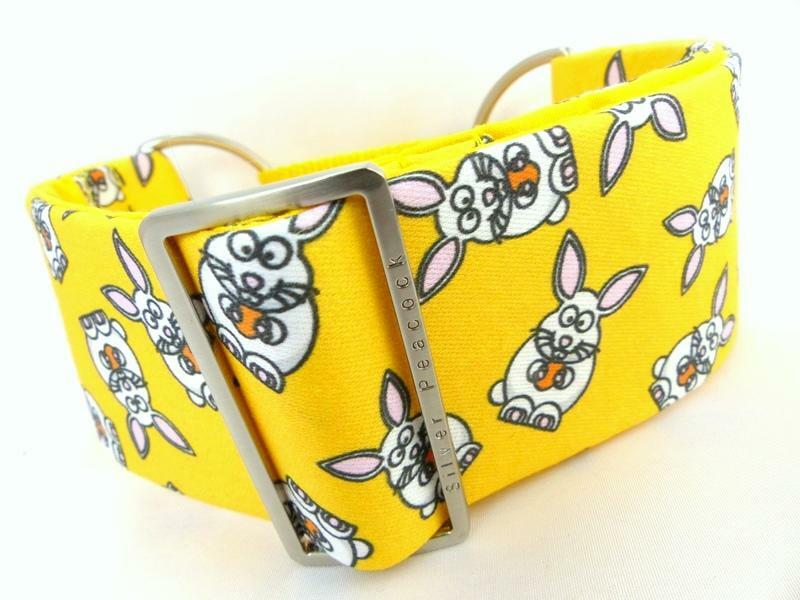 This collar will be perfect for all those egg hunts, easter parades and gatherings! 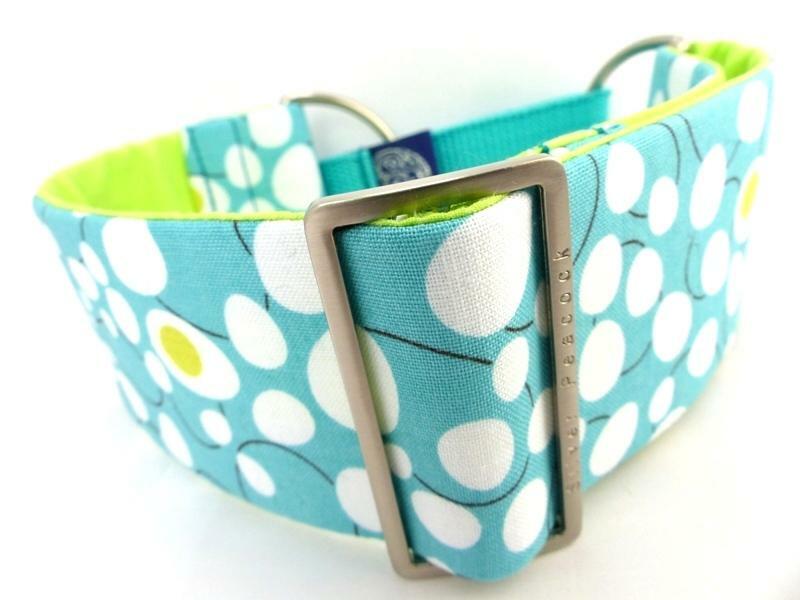 The collars are lined in co-ordinating lime green fabric and are finished with our signature robust silver coloured hardware.